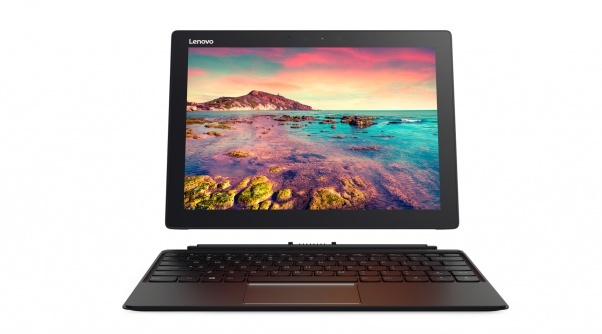 Lenovo has announced Miix 720 company's latest 2-in-1 detachable laptop/tablet. It has a 12-inch QHD+ display aMiix 720 has a 2,880x1,920-pixel resolution display (QHD+) and a Thunderbolt 3 port that'll support up to two external displays. Also on board is an infrared camera for Windows Hello so you can unlock your tablet with facial recognition. Lenovo Miix 720 is priced starting at $1,000 with the keyboard included, while the Active Pen 2 will retail at $60. The tablet will be seeing a release come April 2017, while the stylus will be available in February.